These next photos from Alfred G. Buckham take perspective to another level. That’s exactly what inspires me too about his photos: perspective. 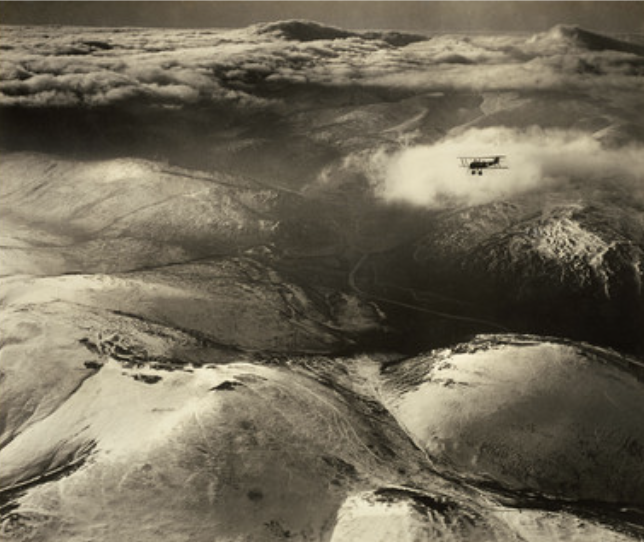 Being a British photographer during World War I, Buckham took to the skies and captured war from another lens. Buckham was the first head of aerial reconnaissance for the Royal Navy. He was known to stick his whole body out of the plane to get these stunning images. Perspective plays a huge part in his images because of obviously being in the air, but also showing the planes in relation to the ground below. We are so used to looking up and seeing things fly, so seeing a reversed perspective is really intriguing. I wonder.. what new perspective can I get while on land?